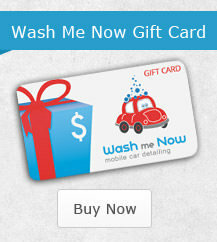 Mobile Car Detailing in Richmond Hill. A truly Canadian conundrum, winter shines when it comes to hockey, skiing and all forms of recreation, but it can take its toll on your car. Salt coats the entire outside and underside of your car with a thick white crust. This crust that begins eating away at the exposed metal and paint job. Wet, salty boots turn the inside of your car into a briny mess. Dirt and slush streak along the bottom of your ride and you generally don’t want to come close out of fear of ruining your outfit. You got the winter tires, you bought the rubber mats, and still your car is a salty nightmare. What to do? 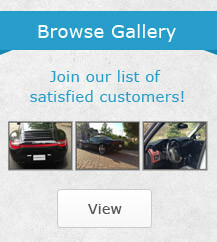 Lean on your professionals for car detailing in Richmond Hill. 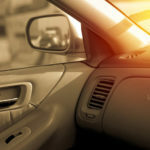 Enlist the help of Richmond Hill’s best interior and exterior car detailing service to clean your vehicle inside and out. A thorough clean has never been easier – we come to you! We bring everything we need to ensure your car looks brand new. This includes the pressure washer, water, electricity, premium cleaning products, vacuum and more! Our truck is a wash unit that has everything necessary to clean dirt and winter salt off your car. We wash your entire car, including the underside, where a layer of salt is guaranteed to be hiding out, slowly turning your car’s metal parts to rust. Prevent the rust and outsmart winter with Wash Me Now. Not all drive-through car washes wash the bottom of your car, the most vulnerable area as there’s no layer of paint protecting it. Why waste time and money on something that only does half the job? Wash Me Now specializes in interior and exterior detailing, including vehicle undersides. Richmond Hill is brimming with all kinds of vehicles! Whether winter has a grip on your sedan, truck, trailer or van, Wash Me Now details and cleans all types of vehicles! No car is too big or small for our professionals. 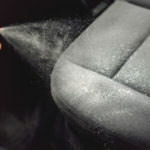 With the latest in equipment and the best in cleaning products, your car will be taken care of while you work or play. Professional, reliable mobile car detailing sets us apart! 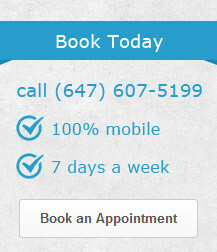 Contact us today to book your appointment!